In last month’s installment of Alone Time, I mentioned that the Lord of the Rings Card Game from Fantasy Flight Games was very possibly the only solo game a fella would ever need. And perhaps you thought to yourself, “What if I don’t want to design decks and buy more quests? Also, I hate hobbits.” If that’s the case, today we’re going to talk about two different editions of another game from FFG. 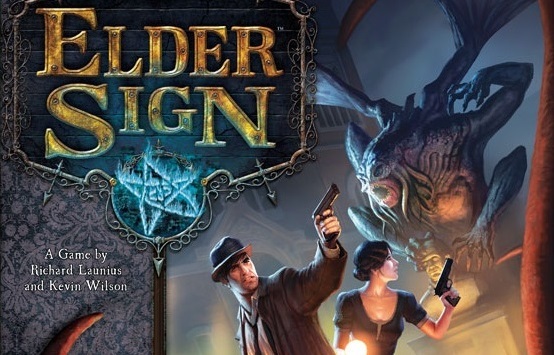 It’s Elder Sign, and it’s much more self-contained, has a lot more dice, and doesn’t have quite as high a barrier to entry. And anyway, what could be more anti-hobbit than H.P. Lovecraft’s Cthulhu mythos? The beginning setup: Vanguards versus Tundra Orcs. Back in October I decided to roll the dice in the official Summoner Wars iOS Tournament and prove myself the premier Summoner Wars player of all time. Turns out I’m not. Even so, I did a lot better than I assumed I would, coming this close to making it into the third round (of four, in case you were wondering). I took screenshots of most of my games, and meant to do a massive post-tournament writeup, but certain constraints (like not winning) kept me from it. Well, I figure I can talk about a couple of the games though, considering I have all these hundreds of screenshots. The first match is a win from the first round — it’s actually the win that placed me at 3-2 in my division, and going on to the second. It’s an epic win, full of tense moments and nick-of-time maneuvers. At no less than two points I nearly hurled my iPad across the room, and was only constrained by the damnable fragility of the thing. But. Despite the thrills this match offers, this isn’t an example of how to play Summoner Wars well. Not in the slightest. Ret-Talus and his Fallen Kingdom square off against Krusk’s Sand Goblins. 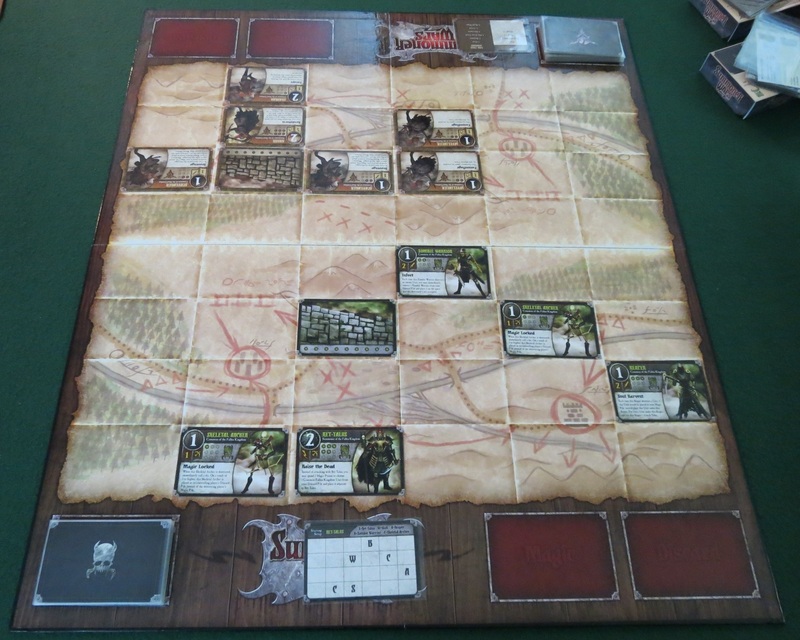 A few handsome and/or beautiful people have asked me to write down some strategy tips for Summoner Wars from Plaid Hat Games. Being an obscure blogger, I’m pretty much jumping up and down at the opportunity to both write about my favorite board game and to fulfill requests, which makes me feel oh so professional. I hope to eventually write about each of the game’s factions, but for now here’s a few basic clues that I like to give players just barely introduced to Summoner Wars. If you’ve played more than a handful of games, you might not find these steps particularly useful. Though maybe you will. Who knows? The only solution is to keep reading. 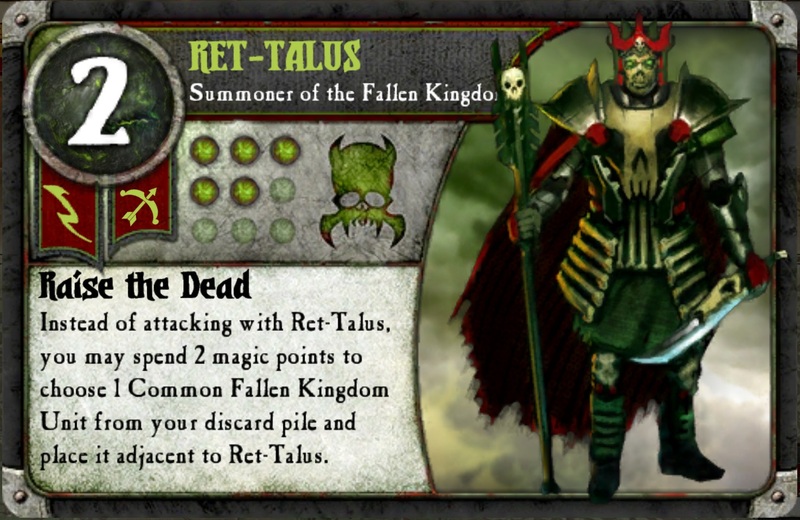 Ret-Talus, master of the Fallen Kingdom. Many moons back I hollowed out a ventricle of my stony heart to contain my love for Summoner Wars, the masterpiece from Plaid Hat Games that I claim as my favorite board/card game ever. Sadly, I haven’t found the time (or brass) to write about it until now (excepting its inclusion in my Board Game Box Review, which does not actually count but masks my chagrin at least a little). 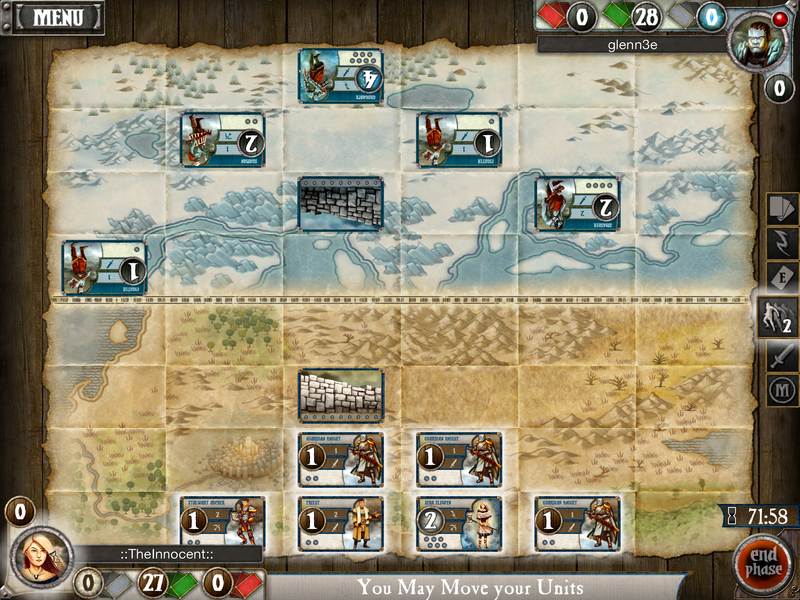 Now Summoner Wars is out on iOS, which means I’ve been playing far more games at once than I can keep track of. Which makes this the perfect time to jump on in and tell you all about why Summoner Wars is so incredible.